Tom grew up in Shepparton and after finishing high school moved to Melbourne to run camps and retreats for Marist Schools around the country. 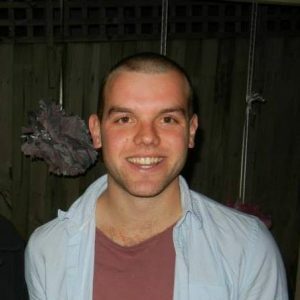 After this ‘gap’ year, Tom started his Bachelor of Science at the University of Melbourne. His involvement as a student at St Mary’s commenced during this time and he spent two years at the College. Sport was a big part of Tom’s time at College and he was the St Mary’s male sports representative in 2016. 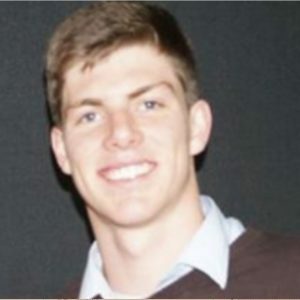 Tom is currently studying a Masters of Secondary Teaching/Graduate Certificate in Religious Education at ACU and hopes to become a Chemistry, Biology and RE teacher. Outside of his studies, Tom enjoys playing football and cricket. He is driven to help young people thrive and find purpose and connection in their lives. Born and bred in Sydney, Sarah completed her undergraduate studies in Politics and International Studies at The University of Melbourne in 2015, residing at Janet Clarke Hall and then at Trinity College. She completed language intensives at a number of universities in France, Spain and Ukraine, as well as undertaking exchange semesters at the University of Edinburgh in 2013 and Sciences Po, Paris, in 2015. Sarah stayed on in Paris as a volunteer for the United Nations Paris Climate Conference and then as an intern at the headquarters of the United Nations Educational, Scientific and Cultural Organization (UNESCO) in 2016, where she contributed to the Organization's work promoting media development and protecting the safety of journalists. 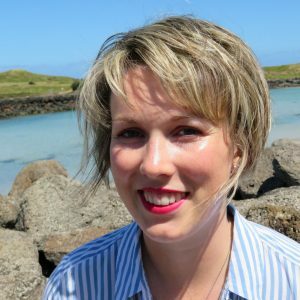 Sarah is currently undertaking a Master of Science (Geography) and is particularly interested in environmental sustainability and climate change policy. Born and raised in Geelong, Xavier completed his Bachelor of Arts (Hons) at Deakin University majoring in history. His thesis studied the commemoration of Australian Bomber Command veterans who served over Europe during the Second World War. He was the recipient of the Australian War Memorials 2016 Summer Scholarship, where he investigated Australia’s involvement in the Battle of Singapore. Xavier recently completed his Ph.D. at the University of Melbourne, studying the usage of sport and its relationship with the Australian war effort during World War One. He presented his findings at 2018 Reflections on the Commemoration of World War One conference in New Zealand. 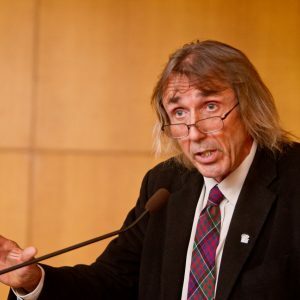 Xavier has tutored and lectured 20th century history at Melbourne University and Deakin University since 2016. Outside his studies Xavier takes an active interest in sport, principally football and cricket, as well as music in the form of a vinyl record collection. 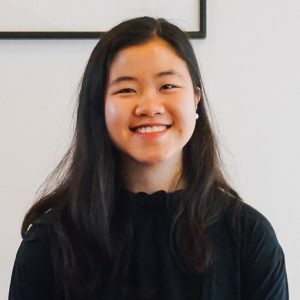 Chai Jie grew up in Brisbane and moved to Melbourne in 2015, completing a Bachelor of Music with First Class Honours at the University of Melbourne. She resided at Medley Hall for the first two years of her undergraduate studies. An avid pianist, performer and chamber musician, Chai Jie works as a teacher at music schools around Melbourne and was an intern with the Zelman Symphony Orchestra in 2018. Alongside her studies, she regularly volunteers as a church pianist and helps to prepare community meals. In her spare time, she enjoys painting landscapes and running. Chai Jie is currently undertaking a Master of Music (Performance Research), exploring piano repertoire of the 19th century. Ian has a doctorate in Chemistry, an Honours degree in Science, and Graduate Diploma in Education and Recreation Studies. He has been the Chemistry tutor at St Mary’s since 1992 - his passion in chemistry is X-Ray Crystallography – basically where atoms and molecules are in the solid state and why. To complement this somewhat narrow field of study he has worked in the international development field for the past 32 years – two years as a volunteer chemistry teacher in the Solomon Island, two years in Aboriginal Recreation programs in remote NT communities and 28 years with Australian Volunteers International in a range of roles here in Melbourne. Ian has also served on the Board of Loreto’s philanthropic/development organisation, Mary Ward International Australia, for the past six years. 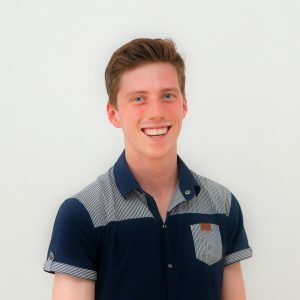 After a science-focused final year of high school, Nick decided for a change of scene and enrolled in a Bachelor of Arts (double major in Spanish and Politics) at The University of Melbourne, where he was awarded the Melbourne National Scholarship as a Chancellor’s Scholar. His studies in Spanish saw him live in Spain throughout 2017 thanks to the Walter Mangold Modern Languages Scholarship and the Melbourne Global Languages Scholarship. In Spain, Nick taught English, studied at the University of Granada and walked El Camino de Santiago. He is also studying a Diploma in Arabic, for which he was awarded the Asian-Australian Association of Victoria Award for Modern Languages. He hopes that his language skills will help him teach English as an Additional Language. This passion for education has seen him take up education roles with Connect Education, The Victorian Olympic Council, The Melbourne Arts Students’ Society, and The UMSU VCE Summer School. He hopes to begin a Master of Education (Secondary) in 2020. Outside of the classroom, Nick is passionate about writing and reading and has been published in the University magazines Above Water and Farrago. He is also a keen runner and competes with the Melbourne University Athletics Club. 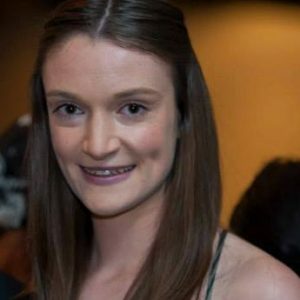 Hailing from Camperdown in South-West Victoria, Elizabeth moved to the city in 2013 to complete a Bachelor of Arts at the University of Melbourne, and lived at St Mary’s in 2013 and 2014. Elizabeth majored in Political Science and Sociology whilst also completing a concurrent Diploma of Languages in Spanish. Elizabeth’s strong interest in Social Justice led her to work as a voluntary intern with YWCA Victoria, a social housing organisation, where she completed research that informed the Royal Commission into Family Violence. In 2019, Elizabeth returns to study a Juris Doctor at Monash University after two years in Spain where she taught English and worked on her language fluency – and living the good life! Before coming home, Elizabeth walked the Camino Primitivo from Oviedo to Santiago de Compostela. 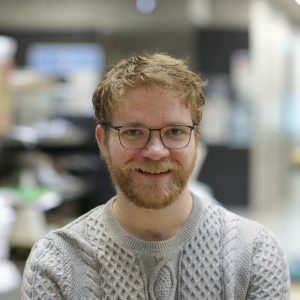 After growing up in both Sydney and London, Rob commenced a Bachelor of Environments (Environmental Engineering) at The University of Melbourne in 2014. For the first two years of his studies, he resided at Janet Clarke Hall and in his second year served as vice-president of the student club. During his undergraduate studies, Rob was extensively involved with Engineers Without Borders, including co-designing a crop-pest management device in rural India, writing a report on the state of gender diversity in engineering and serving as secretary of his university chapter. Rob’s professional interests lie in the development of sustainable built environments, in particular through combining ecologically sustainable building design practices with community inclusive design processes. In supporting these interests, Rob is currently undertaking a Master of Architectural Engineering at The University of Melbourne under the support of a Westpac Future Leaders Scholarship. 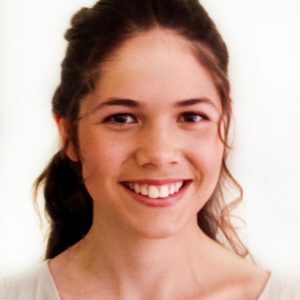 Pippa grew up in Christchurch, New Zealand, and moved to Auckland in 2013 where she completed a Bachelor of Science majoring in Chemistry at the University of Auckland. She was named as one of the science faculty’s Senior Scholars when she graduated in 2015. She then moved to Melbourne to begin the four year Doctor of Medicine program at Melbourne University. During her undergraduate studies, Pippa worked as a tutor for NCEA campus, a not-for-profit organisation set up to improve educational equality in Auckland. She also travelled frequently to compete in athletics at an international level. In 2019, she will continue her medical education at St Vincent’s Hospital Clinical School.